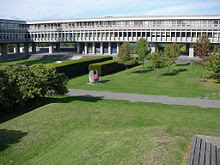 Simon Fraser University (SFU) is a public university in British Columbia with its main campus on Burnaby Mountain in Burnaby, and satellite campuses in Vancouver and Surrey. The university was named after Simon Fraser, a North West Company fur trader and explorer. Undergraduate and graduate programs operate on a year-round tri-semester schedule. The campus was noted in the 1960s and early 1970s as a hotbed of political activism, culminating in a crisis in the Department of Political Science, Sociology, and Anthropology in a dispute involving ideological differences among faculty. The resolution to the crisis included the dismantling of the department and its breaking-up into today's separate departments. 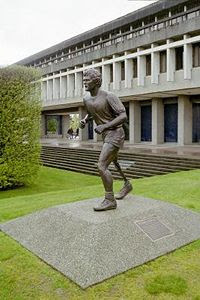 Simon Fraser University was founded upon the recommendation by a 1963 a report entitled Higher Education in British Columbia and a Plan for the Future, by Dr. J.B. Macdonald, who recommended the creation of a new university in the Lower Mainland. The British Columbia Legislature gave formal assent two months later for the establishment the university. In May of the same year Dr. Gordon M. Shrum was appointed as the university's first Chancellor. From a variety of sites which were offered, Shrum recommended to the Provincial Government that the peak of Burnaby Mountain be chosen for the new university. Architects Arthur Erickson and Geoffrey Massey won a competition to design the university, and construction began in the spring of 1964. Eighteen months later, on September 9, 1965, the university began its first semester with 2,500 students. SFU has been rated as Canada's best comprehensive university in (1993, 1996, 1997, 1998 and 2000) in the annual rankings of Canadian universities in Maclean's magazine and has consistently placed at or near the top of the publication's national evaluations. Research Infosource, Canada’s leading provider of research intelligence evaluation, named SFU the top comprehensive university in Canada for “publication effectiveness” in 2006. 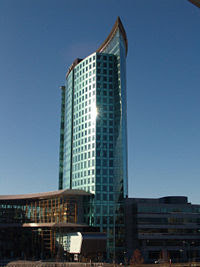 Similar to most Canadian universities, SFU is a public university, with more than half of funding coming from taxpayers and the remaining from tuition fees. The university's faculties are divided into six areas:Applied Sciences, Arts and Social Sciences, Business Administration, Education, Health Sciences, and Science. 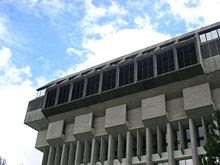 SFU is ranked 2nd in Canada’s top Comprehensive Universities in 2008's Macleans Magazine, ranked 68th in the world and 4th in Canada in 2008 Ranking of World Universities.It was established in 1965 and presently has more than 25,000 undergraduate students.